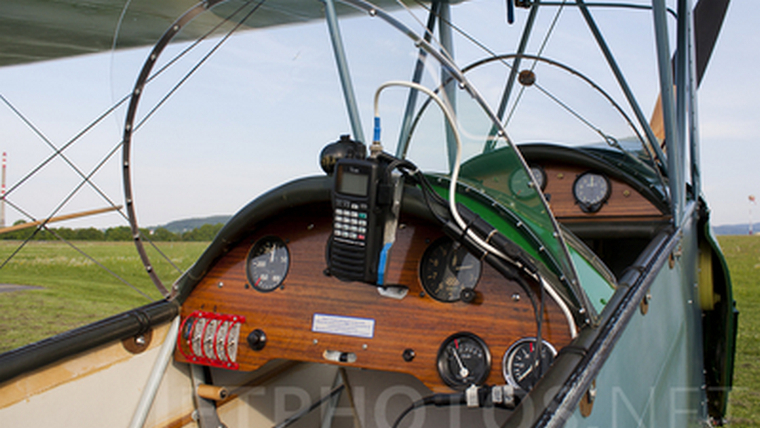 Having acquired my South African Private Pilot's Licence in February 1957 at Pretoria Flying Services Wonderboom Airport- Pretoria, I needed to acquire many flying hours toward my goal - the Commercial Pilot's Licence. 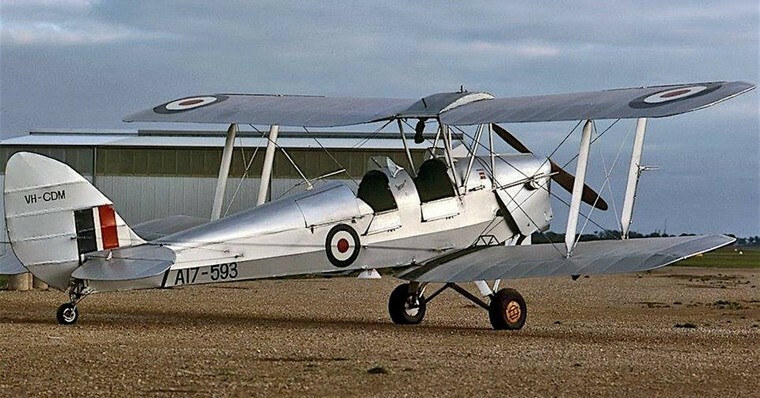 In May 1957 I heard that Wally Atherstone-then Sales Manager of Placo Aircraft Sales -Pretoria, had sold an ex Defence Flying Club Tiger Moth-ZS-DCH, to the Jadotville Flying Club in the then Belgian Congo & needed it delivered there. After he had asked everyone else on the airport without any success, I volunteered and got the task. So I was advised by mechanic friends to acquire 3 "jerry-cans" and to strap them to the front seat- this was very necessary to augment the 2.5 hour endurance of a Tiger Moth. Other friends assisted me with acquiring the necessary maps for the route. I made a clip-board from plywood with a spring-clip screwed on and then attached it to the aircraft with string in case it wanted to fly overboard. I also got my passport by cycling in to Pretoria to the Department of Foreign Affairs I was given a Shell Fuel Carnet (the credit account of that period) & a princely float of 25 pounds by Placo Sales. 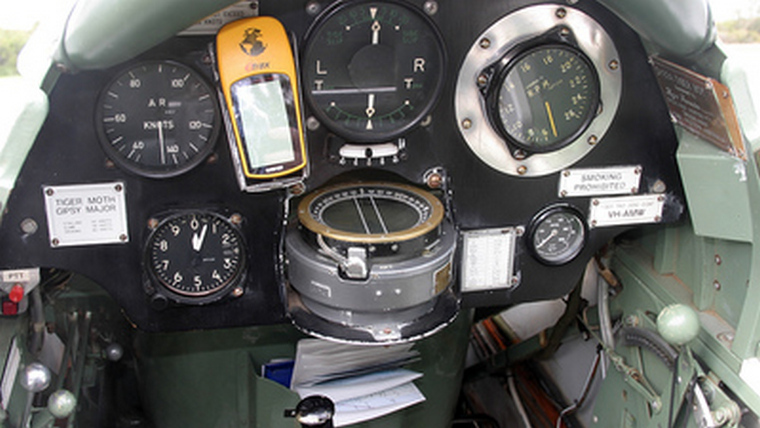 Typical instrument panel, except that ZS-DCH had newer turn & bank, artificial horizon and the ribbon-type directional gyro and a more modern compass. Of course the yellow instrument was still 4 decades into the future! ZS-DCH had a yellow fuselage adorned with a blue lightning bolt on each side. The wings were silver, which were the colours of the Defence Flying Club. It was also unique in being fitted with the latest full-panel instruments, rather than the genuine WWII turn & slip only. Day 1: So on a cold overcast Monday morning, 20 May 1957, I flew ZS-DCH, low-level to Pietersburg Aerodrome which those days had Customs & Immigration based there. After refueling I flew to Messina where I managed to refuel .I flew across to Beit bridge airfield on the Rhodesian side & after waiting for the Rhodesian Customs & Immigration officials for several hours , decided that seeing as there was a stiff South-easterly tail- wind blowing, it would just be possible to reach Bulawayo & clear Customs & Immigration there. Mistake! By the time I was approaching Gwanda , the strong tail wind had almost petered out and thinking that there was nobody there to observe my landing, I did so to use my 3 jerry-cans to refuel. But … out of the bush came a black clerk wearing an old pith-helmet & handed me the aerodrome -register which had to be filled in by order of the Government. Kumalo Aerodrome-Bulawayo. (Kumalo Aerodrome was abandoned when the new airport was opened) was then reached easily. When I climbed the steps to the Control Tower to close my flight-plan, I met a rather pale co-pilot of the Central African Airways Lodestar, who informed me that they had just experienced a most harrowing flight with severe icing & turbulence coming from Johannesburg! 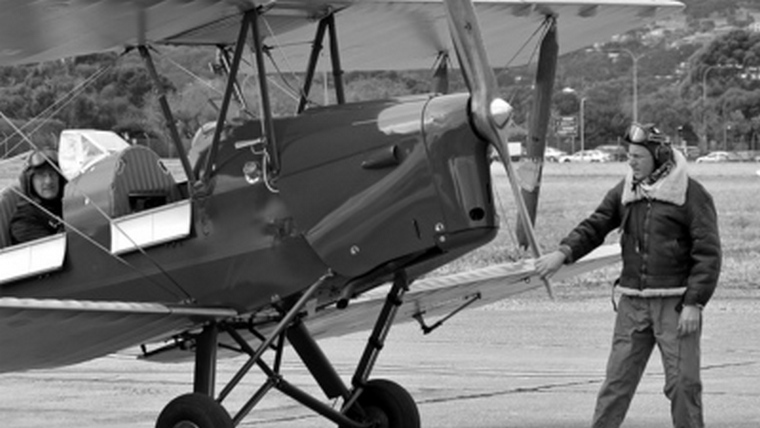 He couldn't believe that I had just completed the same legs in a Tiger Moth! I spent the night in the then new Cecil Hotel. The next day a local pilot Coleman Myers, seeing that all I had to wear was my SA Air Force Gymnasium khaki battle-dress and boots very kindly lent me a pair of proper flying boots, which I managed to return to him later in the year. Day 2: 21 May 1957; En route a landing was made in a soccer field next to the Dett station (close to where Wankie/Hwange airport was later built), to refuel from the 3 jerry-cans . By now a oil-leak had spread oil onto the much-needed impulse magneto, making hand-swinging a hot tedious affair. I had to wipe oil from it-my first "wipe-o-meter"! Dett is about halfway to Spray-view airfield next to the Victoria Falls. Advice given beforehand was follow the railway line when visible in the dense bush , but to be on the lookout for the spray emanating from the Falls - the famous "Mosi e Tunda - Smoke that thunders " That was a good piece of advice, as I easily found Sprayview after circling the Falls, landing at noon. So after booking in to the prestigious Victoria Falls Hotel, having a splendid lunch, I then spent the afternoon by exploring the Falls like a tourist! Those days one could walk across the bridge too, without having to show a passport. The famous "Smoke that Thunders" seen from far out. Day 3: 22 May 1957; The Air Traffic Controller at Livingstone aerodrome-Northern Rhodesia, asked me to open my flight-plan by flying low past the Tower, which I did after departing Sprayview early. I had planned to do my "jerry-can" trick at Mazurka, about halfway to Lusaka, but misjudged the winds & got somewhat lost somewhere west of the track. Eventually, just when the 2.5 hours was up & no fuel was showing on the fuel-tank sight gauge, a newly cleared airstrip, near Choma, came into view in the bush & after a tight inspection run, I landed successfully for the "jerry-can" routine. The refueling completed, I wiped all oil from the Impulse magneto, primed the engine & hand-swung the propeller- but only had a small branch in front of the left wheel. I swung & swung & swung till I was sweating profusely, being dressed in my battle-dress and boots. I experimented with various throttle openings and of course set too much throttle! That's when it started with an almighty roar and jumped the small branch. I dodged around, grabbed a wingtip & changed the aircraft's direction somewhat & then sprinted after it, just reaching the cockpit, where I managed to flick off the magneto's to cut the engine and drag ZS-DCH to a halt. Next was a quick flick of the magnetos back on, before the engine stopped completely. I stood there in the slipstream catching my breath & cooling down. Then I managed to regain my track via Mazabuka and resume the flight to Lusaka. After refueling there and again at Broken Hill (now Kabwe), my arrival there evoked great interest from the staff there. I reached Ndola in the late afternoon for a night stop. Following the railway line was very useful indeed. Day 4: 23 May 1957; The leg from Ndola to Elizabethville (now Lubumbashi) was uneventful, as I kept the road in sight. There were representatives from the Jadotville Flying Club to meet me, so they duly installed me in the then prestigious Elizabeth Hotel. They elected to deliver the aircraft to the Jadotville Flying Club themselves and had the aircraft checked out thoroughly, repairing the oil leak & replacing some missing undercarriage split-pins, which were a potential gear collapse! Day 5: The club members bought me an air-ticket (as agreed on beforehand) and I boarded the then latest Central Africa Airways Vickers Viscount for Ndola. At Ndola, unfortunately, we had to board a old noisy Vickers Viking for the long haul via Lusaka to Salisbury. On board the passengers were all celebrating, eventually also toasting my successful flight. The night-stop was in the famous Meikle's Hotel, with the party continuing there. Day 6: The same CAA Viking took us noisily to Jan Smuts Airport (now Johannesburg International Airport). On arrival I phoned the Sales manager of Placo, Wally Atherstone, who said "Who ? Oh did you actually make it? " I had 7 pounds left over from the 25 pound float.- so that was my wage for this flight plus I gained 18.5 hours valuable flying experience , bringing my Grand Total to 118.5 hours. There were other long-distance Tiger Moth ferry flights, but the pilots have disappeared into the mists of time & with them some nice stories. I knew of a pilot who ferried a Tiger across to Windhoek in 1957 (now Namibia- then South West Africa) and he confided to me , that he too landed en-route to use "jerry-cans " -however some of his landings were on dried-up salt-pans en-route !